Unexpectedly, yet not unpleasantly, I ended up at the cemetery yesterday. On Memorial Day, listening to speeches, my daughter's high school band and a very moving round of taps from trumpet players fanned out along the grounds. After a busy weekend of neighbor-gathering-be-outdoors-in-the-beautiful-weather graduation parties, Lily, Tad and I walked toward Autumn's parade route and staked out a shady spot. I had yet to catch her in a Memorial Parade and for this, her last official marching band gig, I opted to go. I was handed a mini American flag and not quite sure what to do with it. When I spied my parents, I waved it at my dad, a WWII veteran, then I tucked it inside my pocket. I do not love my country before God or even the world. I am grateful to live where I live and be able to safely express a minority opinion. And I feel compassion and gratitude toward veterans and soldiers. I stop short of pride, because then I would be buying into an unjust system. I most certainly am not glad men and women encountered the ravages of war. I admire their certainty, dedication and service. I grieve for their losses. Losses I witnessed up close a personal a year-and-a-half ago. 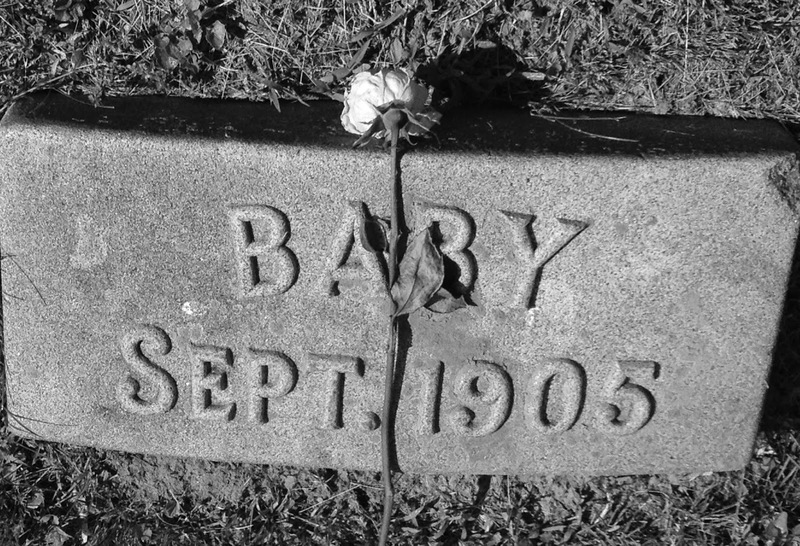 Perhaps, again, it was Spirit that pushed me to join my family at the cemetery yesterday. I lurked in the background of the band, scouts, officials and soldiers from all eras centered on the empty flag pole. Through branches, I witnessed the flag being raised and heard a lot of words that felt empty for me, all in praise of American troops. I have nothing against American troops, just everything against war. As the speeches droned on, I moved farther and farther back until I felt comfortable turning around and walking through the graveyard. I landed on four very old stones representing the infants who had been lain there. I heaved and felt a horrendous flash of grief sweep through me. Grief for these infants, American soliders and ALL victims of war from ALL sides. For an instant, I felt a smidge of what God must. Grief over any loss of life, but, especially, when we take each other's through aggression. Assuredly my feelings were stoked by Sunday's worship and a personal revelation about a Quaker movement that honors all war victims, soldier or not, American or not. There was moving ministry, including a woman who spoke of the German relatives they visited 15 years ago with whom they quickly grew close. Talk of war made conversation uncomfortable until both American and German families recognized the suffering on each side. The elder German said he knew what was happening was wrong, but he had two options: join Hitler's youth or be shot. The wave I felt yesterday was similar to what I experienced at the Alamo. I cried both times, yet this one I was able to let move through me and not get stuck. And I wondered why it is so important in our culture to put soldiers up on a pedestal after we have taken their humanity, or lives, away. Early, local memorial days paid homage to Union and Confederate soldiers. There seems division even in peacetime remembrances. the vain that robbed them? Helen has been on my heart for years, literally since second grade at Main Street Elementary in Glen Ellyn, IL. Today she'd easily be diagnosed with something like Asberger Syndrome, high-functioning autism, and ADHD, attention deficit hyperactivity disorder; back then there weren't names for her behavior and, yet, she was assigned an aide and mainstreamed into my classroom. Seems pretty progressive from my perspective. Somehow she wormed her way into my heart. Maybe it was the galloping around the classroom and whinnying like a horse, her bright spirit and intensity. She belonged as much as I, the quiet and studious child. Perhaps I wanted to be more out there like Helen or maybe it was as simple as she needed a friend and Spirit nudged me in that direction. I don't recall all of the particulars of our relationship, but I do remember she came to my birthday party, spirited energy and all. I see her: strawberry-blond shoulder-length hair partially secured with a rubber band, fair skin and freckles, skinny as all get-out, romping around in her plaid jumper with a white short-sleeved blouse, Peter Pan collar, white-cable knee-high socks and brown Mary Jane shoes. At her desk in the corner with Mrs. Schroeder, her patient aide. I must have been pretty engaged with her because I can't think of other friends that year outside of my Brownie Troop and the neighborhood kids. That was also the year I fell in love with reading. So, second grade was pretty much hanging with Helen and reading, not such a bad way to spend childhood. Until the day Helen hadn't returned from recess, the teachers panicked, adult yelling ensued, then a loud squeal and, soon, an ambulance siren. Helen had run out in front of a car. Fortunately, we were all safely back in our seats and didn't witness the trauma. That would have been heart-wrenching and wounding. Helen came back in a cast as if nothing had happened and we resumed our happy classroom at the bottom of the stairs. Funny thing is, that a couple of years ago on a return trip from Wisconsin, we took our girls back to Glen Ellyn and stopped at the school. 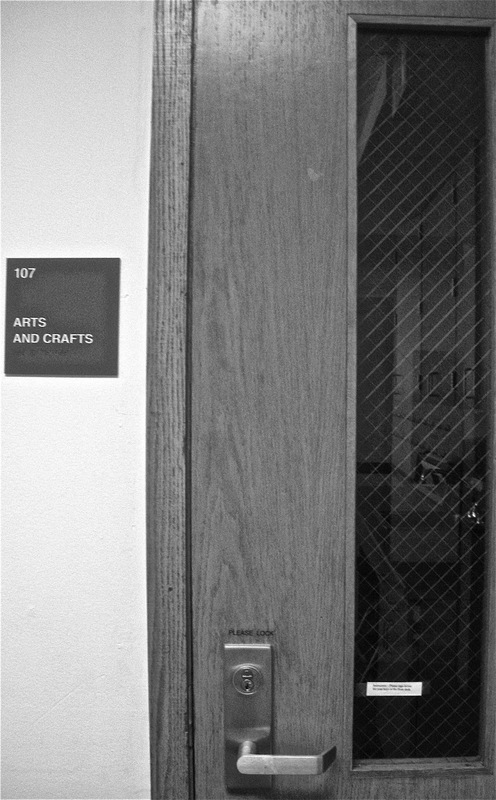 It's now a beautiful rec center and the class I shared with Helen has been transformed into an art room. How wonderfully appropriate, I thought. 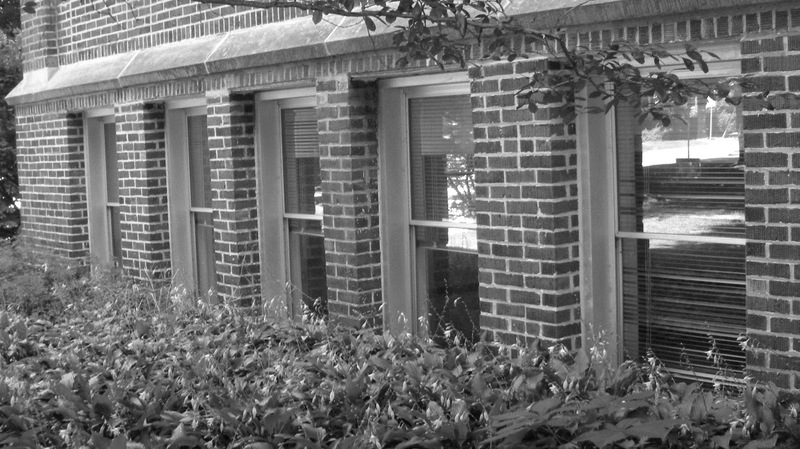 It and the halls seemed so much smaller than I remembered and yet, I could picture Helen right in that room, her back to the door and desk facing the wall, under the high window. I wonder where she is and what she's doing. I hope she's had a rich life. She had such energy, passion and spirit. A few weeks ago, I pawed through a thick album of school things my mother had saved and passed on. 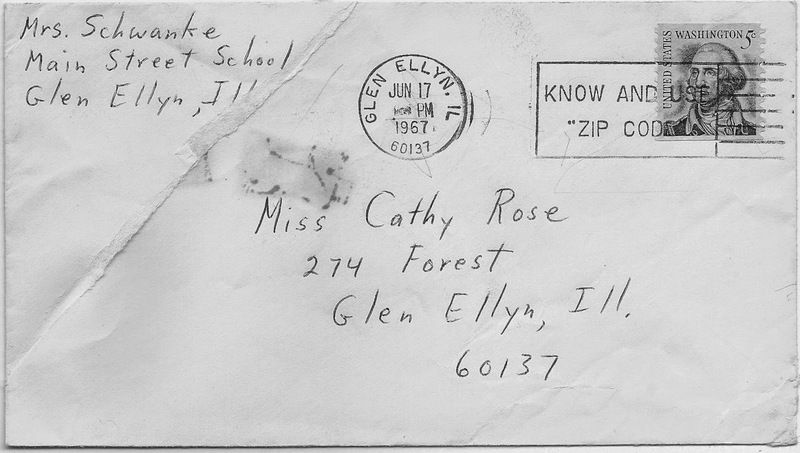 Tucked inside was a hand-written letter from Mrs. Schwanke, my second-grade teacher. It was thanking me for an end-of-the-year gift and telling me I would do well in my new school and find another girl like Helen to befriend. My eyes welled as I read. I had not thought my relationship anything out of the ordinary, but my teacher had. Helen taught me that it's okay to be different, be who we are because God will always take care of us and draw what and who we need close. Thank you Helen, wherever you are! • When has Spirit nudged me into an unusual relationship, particularly as a child? • How easily did I respond? • Was it any easier as a child than it would be as an adult? • How have those experiences transformed me? • How am I richer for them? Award-winning journalist, disciplined editor, artful graphic designer, patient listener, compassionate non-profit founder and engaging artist seeks to clarify and energize your presence and message, communicating what deeply speaks to people. It seemed a good compromise between the corporate world and what I do. This exercise also helped me more clearly view my gifts and skills – a nice bonus. And, suddenly there was a plethora of communications jobs, taunting me and making my head spin. My friend and confidant, Kathie, judiciously selected the four that made the most sense and told me to forget the rest. I had already tackled the arts openings and, yesterday, completed applying for two in the non-profit/education world. I have to say it was soul-sucking to use the online procedure that bypasses a cover letter in favor of limiting text boxes that do not account for gaps in employment for any variety of reasons. Then there was the signing-your-life-away for a background report. It all made me feel a little dirty. "Pay attention to that," Kathie wisely counseled. In my busy-ness, I have not spent much time in silence and with God. So, today I settled a bit longer with my daily readings and journaling. Lately, my Thomas Keating daily reader has focused on losing the false self. Online, Richard Rohr has been advocating much the same and they both emphasize purification. How incredibly timely for me since that's the precise word randomly selected for me by my spiritual director for this year. "Never gotten this one before," she remarked. • I'm only of value for doing, behaving a certain way. • Fibromyalgia has proven me less than. • I don't heal because I deserve this; there's something wrong with me. • I am VERY broken. • I'm not good enough to be successful. • I can't succeed in the material AND spiritual worlds. • You are infinitely loved, beyond you knowing though I have shown you. • You are gifted and blessed for a specific task. • In your dreams, I have told you, you are chosen. • You have passed through the cross and transcended. • You have burned your false self. • Your current explorations will renew your confidence. • The money/what you need will come. • You are growing your faith. • You have already been chewed up by the corporate world; remember you are stronger and wiser now. Maintaining peace, Keating writes, amid the false self's cycle of anger, grief, fear, pride, lust, greed and jealousy requires so much energy that can be FREED. "The fruit of the purifying process is the freedom to decide what to do without the interference from the ... fixations of the false self" according to Keating. "As the false self recedes, our energies can be put to better purposes." As I read Keating further and began to explore my distorted view of God being replaced by the freedom to relate to God as she is, I shuddered with revelation: God is purifying me because I am chosen (just as we all are) and have always been held close. 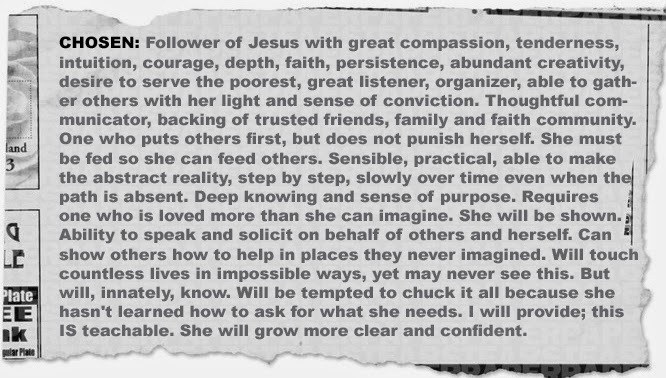 Chosen: Follower of Jesus with great compassion, tenderness, intuition, courage, depth, faith, persistence, abundant creativity, desire to serve the poorest, great listener, organizer, able to gather others with her light and sense of conviction. Thoughtful communicator, backing of trusted friends, family and faith community. One who puts others first, but does not punish herself. She must be fed so she can feed others. Sensible, practical, able to make the abstract reality, step by step, slowly over time even when the path is absent. Deep knowing and sense of purpose. Requires one who is loved more than she can imagine; she will be shown. Ability to speak and solicit on behalf of others and herself. Can show others how to help in places they never imagined. Will touch countless lives in impossible ways, yet may never see this. But will, innately, know. Will be tempted to chuck it all because she hasn't learned how to ask for what she needs. I will provide; this IS teachable. She will grow more clear and confident. • For what am I searching? • What throws me off course? • What happens when I listen in silence? • How am I dismantling my false self?